The marching band at Central High School has gone from some 200 musicians to less than 40 in the last 10 years. Little learned flute in a public middle school, and her children picked up French horn and clarinet. But many middle schools don’t have band programs anymore, a change driven largely by new accountability measures introduced in 2008 linked to statewide standardized tests. The state now requires middle schoolers with low reading and math scores to take “intervention” classes to catch up.“If there’s no room in their schedule since the state requires them to take an intensive reading or an intensive math class,” explained Lisette Alves, a deputy superintendent in Miami-Dade schools, then band class would be first to go. 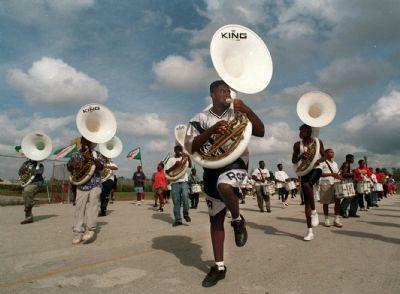 "Band is an expensive art form," said Chad Norton, band director at Miami Northwestern Senior High School, of trying to raise money for uniforms and instruments: new tubas start at around $5000. The Marching Rockets practice for their 1997 trip to New York City. A half dozen Miami-Dade band directors shared similar stories, but most wouldn’t speak on the record out of fear of retaliation. They pointed out that districts like Broward have been able to use bond funding to protect arts programs. In Miami, there’s no specific budget allocation for school bands. Some funding can come from a school’s overall budget, or from outside grants, but many programs get by with what parents and alumni can cobble together themselves to repair instruments, patch old uniforms and rent school buses for away games. Alvin Smith, the president of the alumni association at Miami Edison Senior High School, said his group tries to raise enough to provide buses for Edison’s band to travel to “three or four” performances a year. 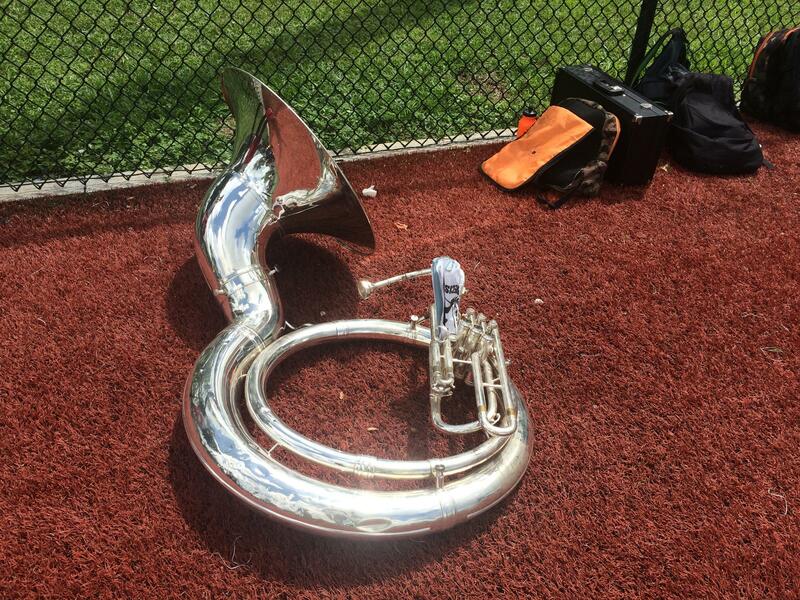 Other bands with would-be musicians are hobbled by a lack of funds to repair instruments. But there are bright spots too. 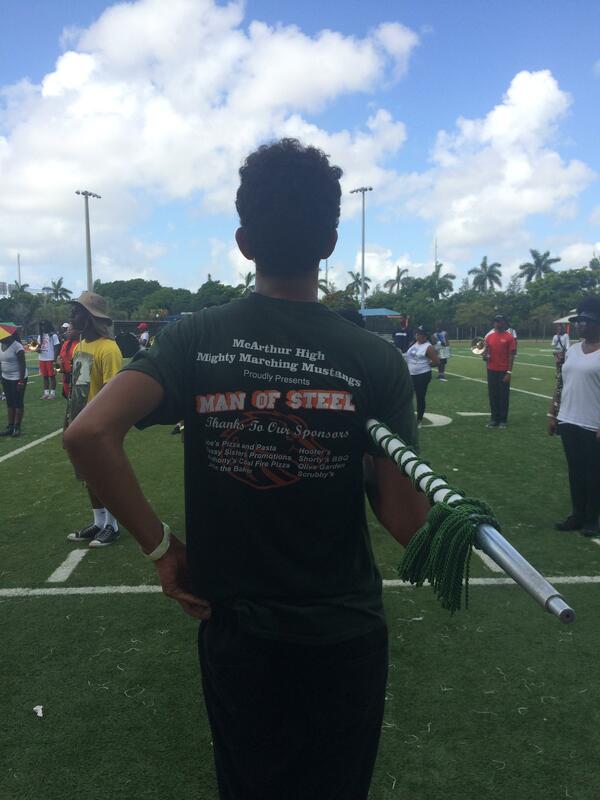 At Miami Northwestern High School, Chad Norton has been able to sustain a band program with some 150 students. 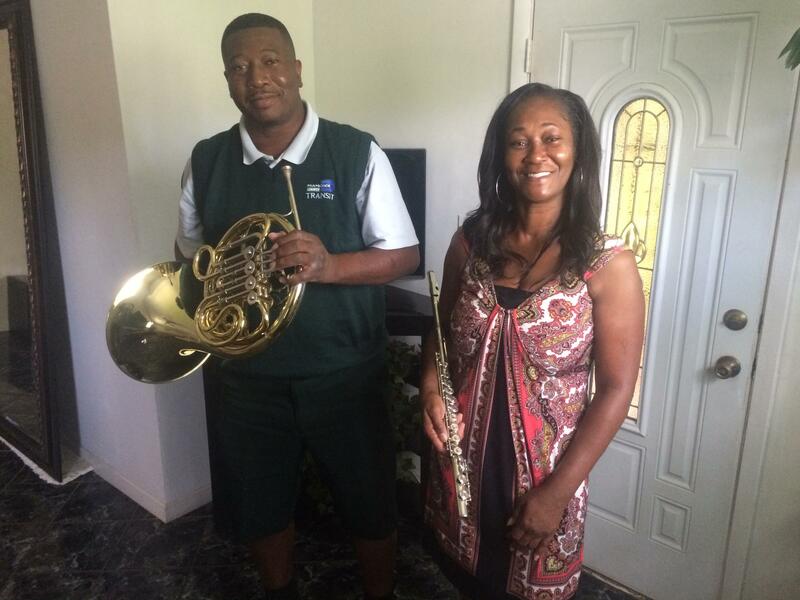 He starts rehearsals weeks before the first day of school, and, one student recalled about his ninth grade year, “Mr. Norton was always walking around going, ‘You want to be in band? You want to be in band?' "
Reaney said the pendulum is already swinging the other way: Two middle school band programs were re-booted in August as part of a pilot program called the Harmony Project, and the district is planning a benefit concert later this month to support 15 high school marching bands. Scheduling changes at other middle schools will allow them to choose arts and intensive reading, so long as they can find a way to pay for both. Some 200 young people from schools throughout Broward and Miami-Dade are lined up on a football field while instructions come over the loudspeaker from a perch high in the stands. Next year’s state budget boasts what Governor Scott has called record funding for K-12 education. After deep cuts spurred by the Recession, per-pupil spending, known as FEFP, or Florida Education Finance Program has indeed hit a new high—but not when you account for inflation. A cheer goes up from the kids in the band. Because “Ellington” is the Essentially Ellington High School Jazz Band Competition, an annual high school jazz festival and competition that takes place at New York City’s Lincoln Center. Carmen Jackson has trained thousands of track runners in Miami’s Liberty City neighborhood. She’s the longtime coach of the girl’s track team at Miami Northwestern Senior High School--and her Lady Bulls team dominates. This year they won their eighth consecutive state championship. Jackson was in Rio de Janeiro for the Olympics cheering on one of her former athletes, Liberty City native and Miami Northwestern grad Brianna Rollins. Rollins won big. She is the first athlete from Miami to win a gold medal in an individual Olympic track and field event--the 100-meter hurdles.